Vietnam is a great place to visit for vacation either alone or with the family. This article offers some great information to help anyone who is looking forward to a family trip to Vietnam with a teen, a toddler, or a baby. There are lots of valuable experiences for the family visiting Vietnam. In addition to offering life as a Communist country, there are also temples to visit as well as monks to offer more insight into Buddhism. Another aspect to look forward to is the close connection which the country has with America. This is a part of Vietnamese history. If your family is very active, there are various activities to enjoy within the country. The caves in Ha Long Bay are great for hiking while you can also take part in water buffalo riding in Hoi An. Kayaking is also available in addition to rice fields and small rural villages which are an excellent choice for biking. If you are looking for the best treatment for your kids, then Vietnam is a great place to visit. Kids get the VIP treatment regardless of the location, be it luxurious restaurants, noodle shops, or even Hanoi's exquisite Hotel Metropole Hanoi. The children can expect to learn about Vietnam from the locals who are very welcoming and open in addition to very engaging personalities. Depending on your interests, the itinerary is well thought out to ensure you don't get bored. It includes activities for both kids as well as adults. You can expect to find cooking classes, a visit to a bomb shelter, market tours, a tour around a floating village, home visits in Hoi An and Hanoi, as well as a meeting with a monk and a war veteran from North Vietnam. There is no greater moment than one when you see the minds of your kids expanding to absorb some of the great aspects of the world. Through a visit to Vietnam, you can improve the exposure of the kids to various concepts which we commonly discuss in theory. One of these concepts is freedom of speech. The views within the country are simply amazing. Regardless of the location, there is a view to blow you away. From the white sand beaches of Hoi An to the rice fields in Nihn Bihn with stretches of Lily pads, to the karsts of Ha Long Bay under the rising sun. There is no way you will forget these images anytime soon. Vietnam is an excellent destination for a visit during the spring, winter, or northern autumn seasons. The rain is much less in the southern parts from September to April while northern areas have a cooler weather. For American school kids who will be on holidays during the month of December, this is a great time to visit. Covering a large expanse of land, over a thousand kilometers in length, the climates vary greatly depending on the region. If you are thinking about activities for the kids during their visit, Vietnam is overflowing with activities as well as places to visit. Snorkeling, cycling, hiking, cyclo rides, boat rides, train rides, and kayaking are some of the few activities to help your teenagers channel their excess energy. Some of the places to visit include islands, beach resorts, local communities, and the fascinating water puppet theatres. Families can customize their itinerary to balance both nature and culture during their visit. You can also tailor-made your Vietnam tour, contact our 1-on-1 online travel consultant. Easy to contact and book your tour! 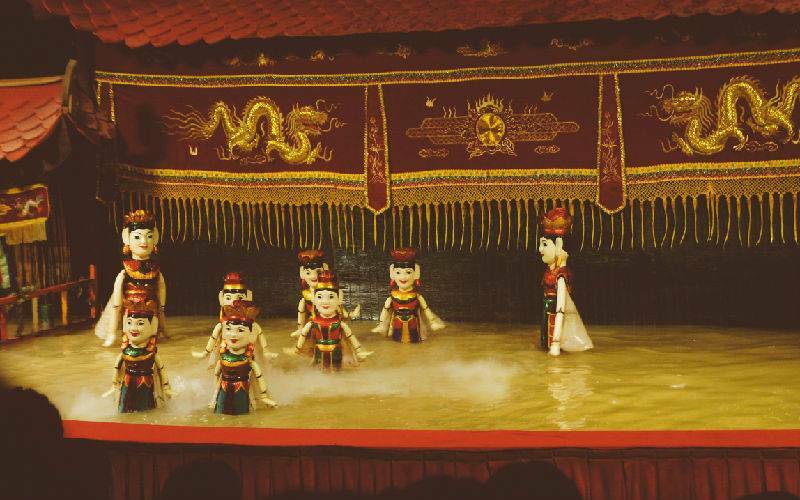 A great way for kids to experience the Vietnamese culture is through traditional Vietnamese water puppet show. The areas around Hanoi, towards the northern parts of the country, are popular as the origin of puppetry. The popular belief is that this beautiful art is passed down from father to son, from one generation to the next. With much development, it is now common to catch a puppet show in other cities like Ho Chi Minh City outside Hanoi. 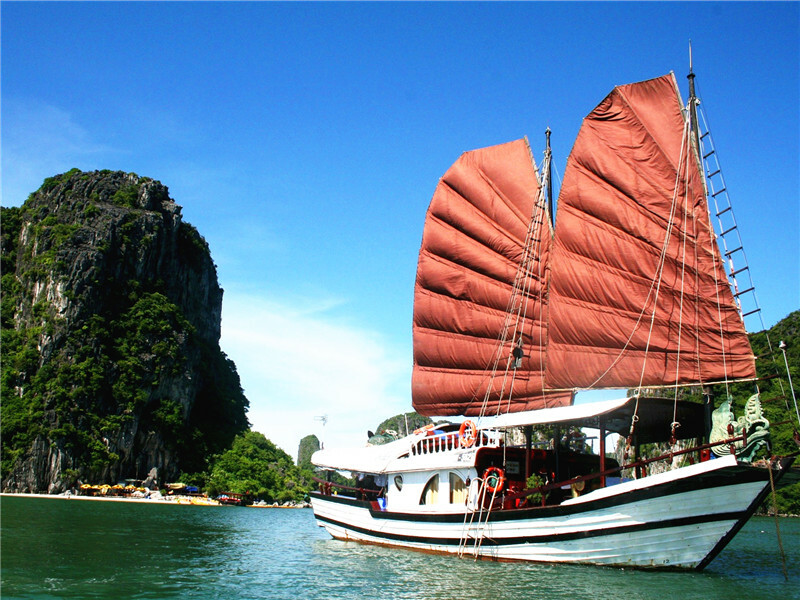 If you love boat cruises and cave exploration, then the beautiful Halong Bay must be on your list. The waters have a deep green appearance while there are lots of hidden caves in the rock formations around the bay. A great experience for the family will be to take one of the cave tours or a boat cruise which is a perfect opportunity for developing family bonds. For an educational activity, the Cuc Phuong's Primate Rescue Centre is the place to visit. The centre operates an ethical breeding programme which is also very successful. Other programmes which it supports include the carnivore and pangolin conservation. One of its great offerings is a close look at the various species of langur which are currently endangered. The opportunity to explore the floating markets make the Mekong Delta an excellent option for children. It is a great way to understand the way of life of people who depend largely on the river for their daily activities. Boat, cars, or minibusses are available to visit the delta. If you love coconut sweets, then you can experience firsthand how they are made. Hanoi and Ho Chi Minh City are some of the popular metropolises in Vietnam. These make it quite difficult to explore such areas with kids. 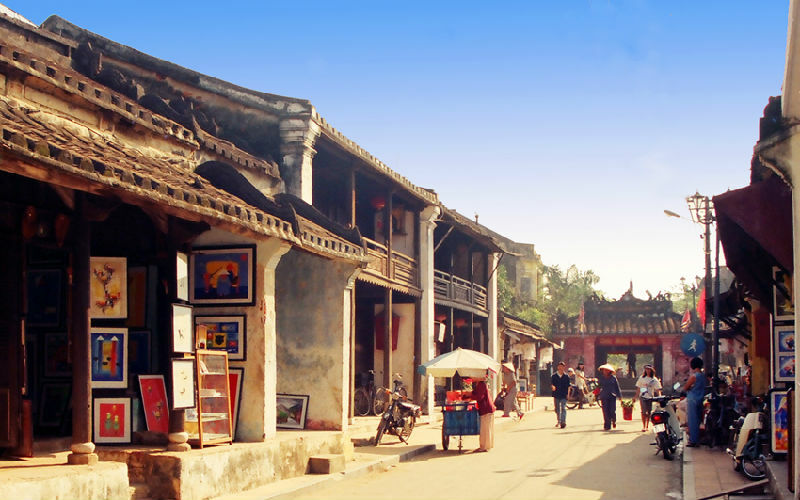 For a more peaceful venture, then you should opt for Hoi An, considering the name translates to “peaceful meeting place.” There is very little traffic in this beautiful, small part of the country. The beach is close by and there are lots of parts outside the town which are great for cycling. The food in the town is great and you can take part in cooking classes to learn more about the local dishes. A stroll around the night market is also recommended. Start your Vietnam tour with your kids now! It is hard to plan a trip to suit both your kids and adults on your own. Our travel advisors can help you with an itinerary and professional advice. We can help you choose awesome places according to all the interests and care for every member of you! Here are two sample itineraries. See for inspiration and contact us to tailor-make your tour! Find more ideas from our Vietnam tours.